1/3 oz. 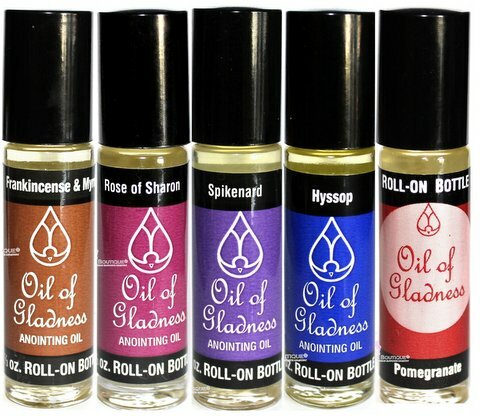 of pure blessed olive oil and fragrance in a roll-on style bottle. Leave the fragrant reminder of God's goodness and faithfulness to answer prayer. (Is His hand too short?) Fragrance choices are: Frankincense & Myrrh (Our favorite), Spikenard (Clean), Rose of Sharon (Floral Rose), Hyssop (Refreshing, Minty), or Pomegranate (Fruity). Made in the U.S.A.